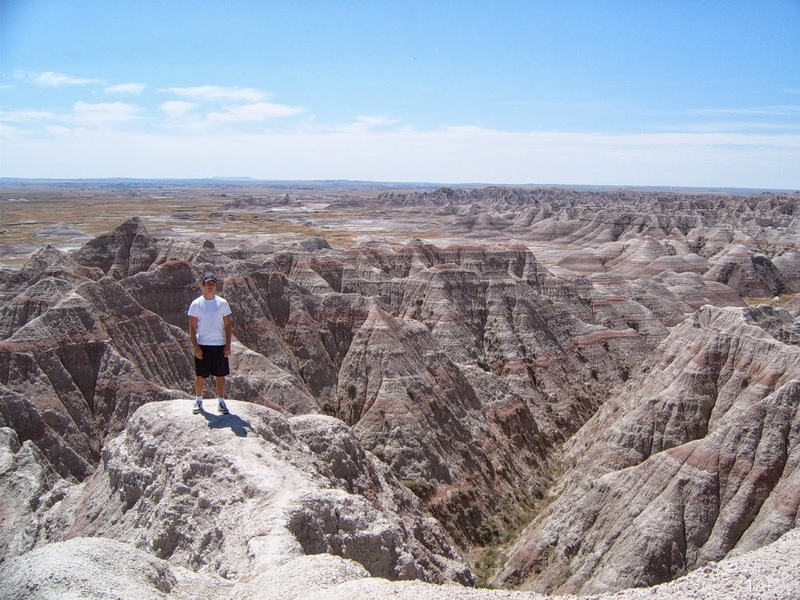 A mere 20 hour drive away from Newport Beach California, Badlands National Park in South Dakota is one of the most serene and secluded spots in the lower 48 states. The eroded landscape stretches for hundreds of miles across the South Dakota plains. Locals call it “The Wall”. 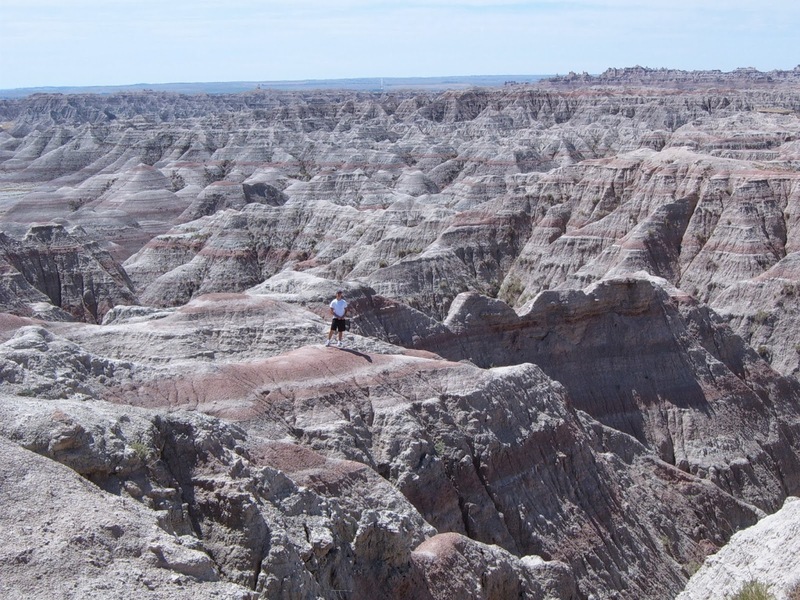 Badlands National Park is most famous for its fossil deposits and because it was the site of the Wounded Knee Massacre of the Lakota Indian tribe in 1890. At night, the silence and scenery is how I imagine camping on the moon might feel. 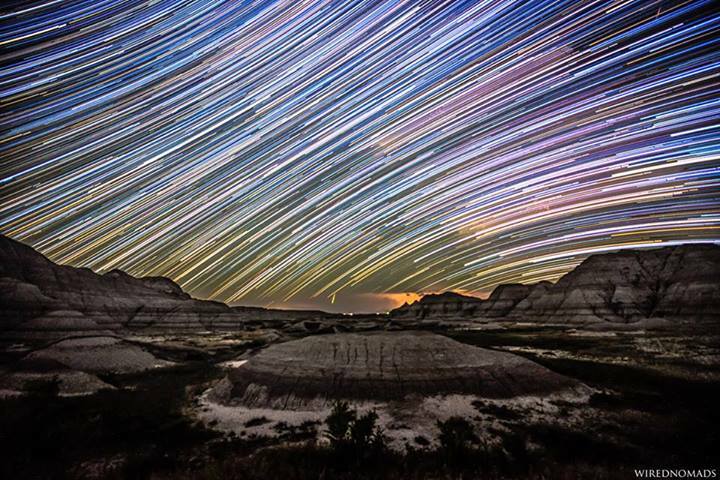 Stargazing in the Badlands at night was one of the best experiences of my life. If you hike away from the road, the only sounds you’re likely to here are the rattlesnakes. There are several commercial dude ranches in the vicinity of the Badlands and none of them are cheap. I think 1 day and 1 night is plenty enough time to do the loop in the park and see most of the roadside attractions. If you're lucky, you'll see some wild Buffalo that roam the park or maybe even a few Big Horn Sheep. You'll almost definitely see a prairie dog. I spent 2 nights in the Badlands on a ranch and spent way too much money on a shabby cabin. It would have been quaint if not for the 160$/per night price. I should have camped instead. Be warned, the storms on the prairie can hit fast and ferociously. If you plan of camping, make sure to check the weather first. Rapid City is about an hour’s drive down the highway and would definitely be a viable place to stay instead. Most people pass through Rapid City anyway on their way to Mount Rushmore. 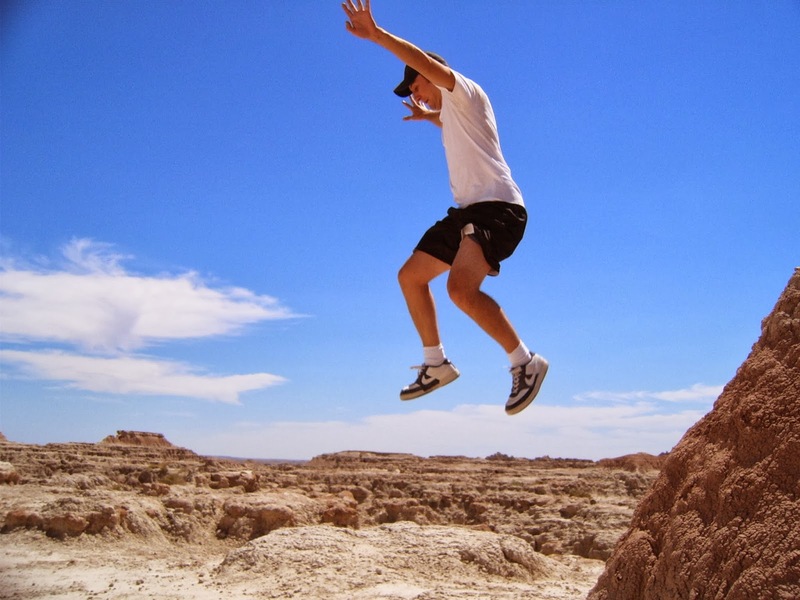 If you plan on hitting a few different parks on a cross country trip, it would definitely be worth it to purchase an all-inclusive National Park Pass for 80$. If you’re driving across country on route 90, you would be insane not to take the detour through the Badlands. Don’t skip the amazingly campy and world-famous Wall Drug. I’ve traveled all over the U.S. and Wall Drug is easily one of the 10 best tourist traps that I've come across. One negative reviewer on Yelp said Wall Drug reminded him of a “medicine show from the old Wild West”. How does that deserve one star? Its basically a mix of quirky souvenir shops and hokey gift stores. The jukebox plays Ragtime versions of British songs from the 60's on a tambourine, a banjo and an out-of-tune guitar with 2 busted strings. I must have pumped 8$ into that jukebox last time I was there. Make sure to get there early because Wall Drug closes around sunset. Here is another tip: Avoid the Badlands during “Bike Week” in August. Bike Week is basically a gathering of twenty thousand overweight rednecks on double-wide motorcycles. Nothing ruins the scenery like a never-ending parade of hillbillies on motorcycles revving their engines while you’re on a hike.